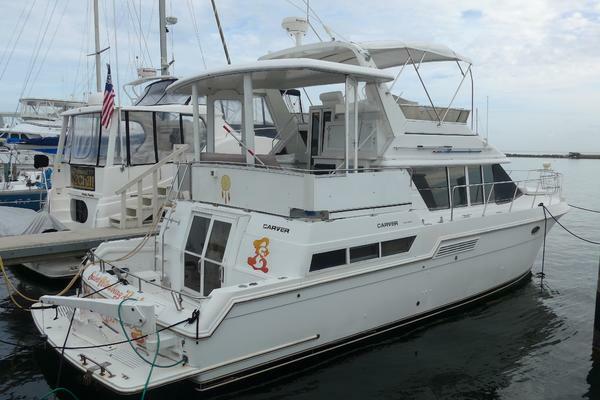 2008 Silverton 43 Sport Bridge is available to be seen and enjoyed. This is the nicest, cleanest and best maintained 43 SB Silverton on the market today. Professionally maintained, ready to cruise and be moved into Escape is the definition of turn key boating. Bring your gear and provisions and plan your first cruise. 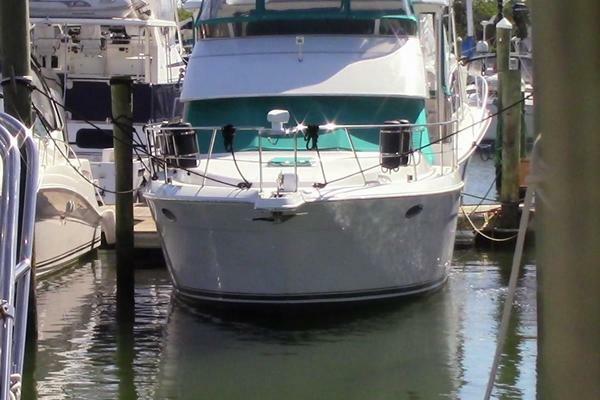 Clean from top to bottom, she is up to date on service, owners are moving up to a larger boat and are ready for offers. 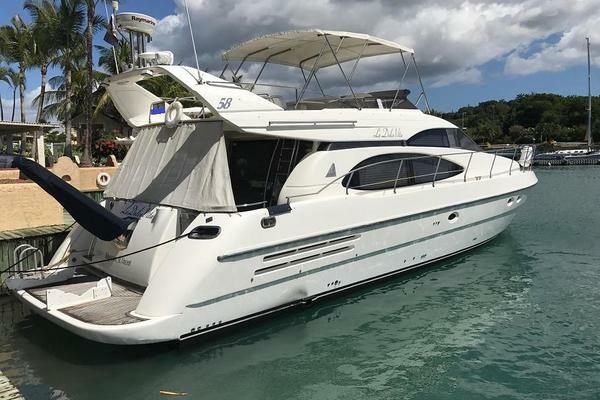 With plenty of room for your family and guests onboard, this great layout features a spacious salon with plenty of storage and a large bridge seating area and easy access to the bow from the helm up top. Great design with dependable Volvo Penta diesel power. The 43 Sport Bridge has the power, in her optional Volvo IPS 500 diesel) engines, to realize the ambitions of the most ardent cruiser. The 43 Sport Bridge features amenities appreciated by as many as six travelers who call her home during an extended on-water stay. The main-deck cabin boasts an immense salon with convertible sofa, love seat, and sophisticated entertainment center; a superbly equipped galley; and separate dinette area. Cherry wood is featured throughout the 43 Sport Bridge in joinery, doors, and bulkheads ? in high-gloss and satin finishes. An elegant master stateroom with private head and stall shower lies well forward. A second head (wet) with stall shower serves the salon and guest stateroom to starboard. As with all our Sport Bridge models, the 43 Sport Bridge features a big cockpit that is an entertainment plus. One of the largest in its class, the flybridge possesses a standard wetbar with optional refrigerator/ icemaker and Silverton's unique SideWalk passage to the bow. Feature twin Volvo Penta IPS-500 diesel engines with IPS drives. In line six cylinder turbo charged diesel motors rated at 370 hp each.